Everyone who wants to make music with an orchestral instrument is welcomed in the Boulder High Orchestras. Symphony Orchestra (N81 and N82) is for everyone interested in making music with a violin, viola, 'cello or bass. We play string and full orchestra repertoire. Harpists and pianists are welcomed, as well (see Mr. Woodworth for details). NO AUDITION. 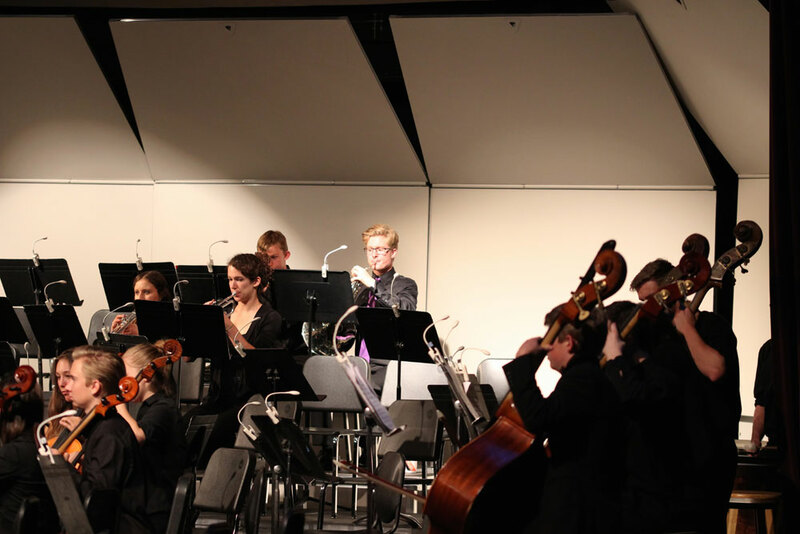 Chamber Orchestra (N86) is one of two advanced orchestras at Boulder High School. This group focuses on chamber music and stringed orchestra repertoire from the past four centuries. Full Orchestra Repertoire is also included in our curriculum. Harpists and pianists are welcomed, as well (see Mr. Woodworth for details). Audition required. Orchestra 3 (N83) is Boulder High School's other advanced-level orchestra. This group plays String and Full Orchestra Repertoire from the past four centuries. Chamber Music is available. Harpists and pianists are welcomed, as well (see Mr. Woodworth for details). Audition required. 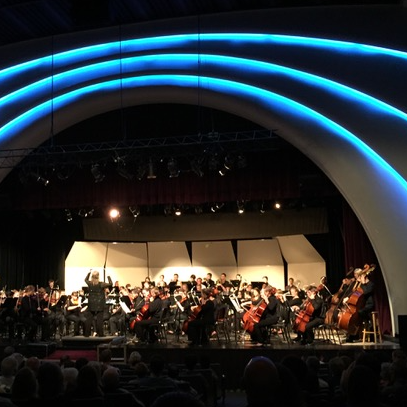 Full Orchestra is a unique and exciting aspect of our Boulder High Music Department. Full Orchestra takes place during orchestra class time. We combine with the bands on a weekly basis, at minimum. Woodwind, brass, and percussion players wishing to participate in Full Orchestra should register for Concert Band or Wind Ensemble. Boulder High School offers three jazz bands: Boulder Jazz, Landmark Jazz, and Jazz Unlimited. All three of these jazz bands require an audition. Boulder Jazz members play a wide variety of music, from swing to funk. Jazz Unlimited members learn various musical styles and the basics of improvisation, as well as basic music theory. Landmark Jazz members play a wide variety of music and continue their study of jazz through improvisation and music theory. All jazz groups perform at school concerts, community events, festivals and competitions. Students interested in jazz band should enroll in Jazz Unlimited. Students will be placed into the appropriate ensemble following auditions. 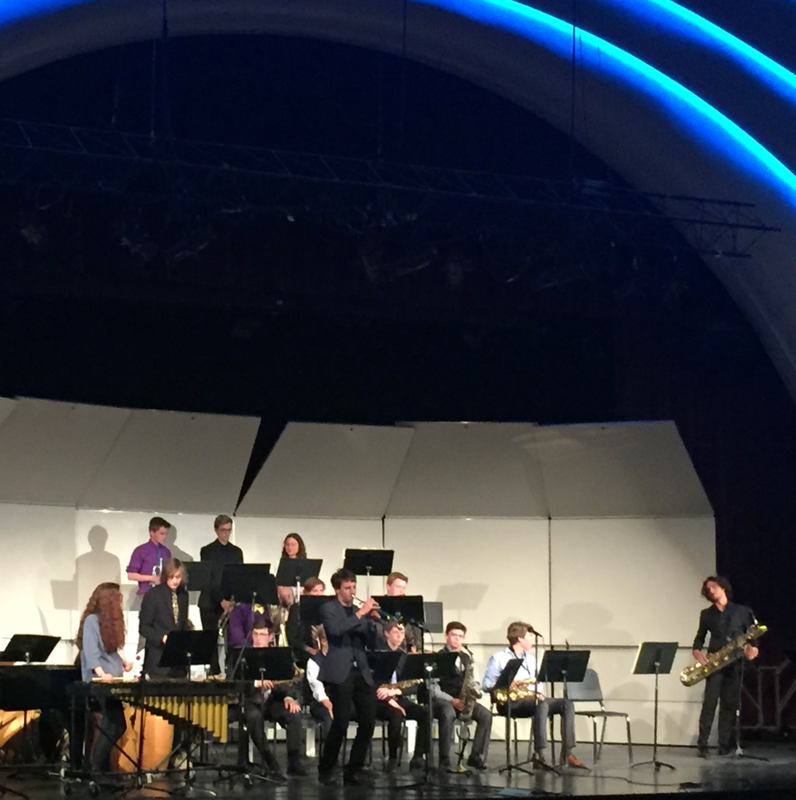 There are also opportunities to perform in Jazz Combos that are formed and managed by students (with support from the band director). Concert Band and Wind Ensemble are open to all students who play brass, wind and percussion instruments. Band ensembles perform at school concerts, competitions, and graduation. Concert Band is open to all students. No audition is required. Wind Ensemble requires an audition. Students interested in Concert Band or Wind Ensemble should enroll in Concert Band. Students will be placed into an appropriate ensemble following auditions.